Last week brought news that a missing Oswald the Lucky Rabbit cartoon had turned up in the BFI National Archive in England. The news of the long-lost Sleigh Bells (1928) made world headlines and was a featured story on CNN and BBC, among others. This comes only a year after Empty Socks (1927) was found in the National Library of Norway, which also went viral as a news curiosity. After such a long period of freeze-out in the public eye, Oswald has gotten his groove back. 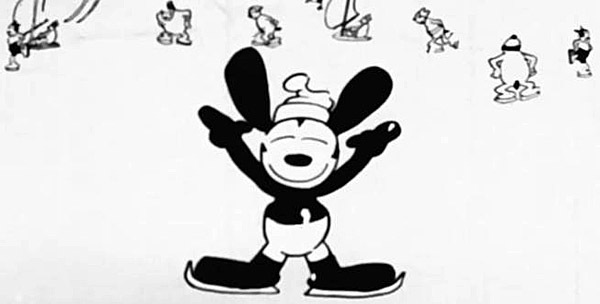 The Guardian newspaper reports that the discovered film “features Oswald in an ice hockey game against a winter wonderland backdrop and has surreal touches with the rabbit at one point removing his ear to make a balloon.” It may be the stuff of routine Disney-Iwerks gags, yet still this heralds another dazzling gift for fans of classic animation. The betting odds were not favorable that these titles, presumed lost, would ever turn up. The change in fortune has a lot to do with the return of the Lucky Rabbit to Disney Studio, pushing the ‘legend’ of Oswald firmly back into public awareness, not to mention his reappearance in Disney properties, such as Get a Horse! and the videogame Epic Mickey. It’s maybe only a bit star-crossed that I am writing this while watching Sunday Night Football being play-called by Al Michaels. It was, after all, a clause in the deal for him that enabled Oswald to switch teams, which in itself became a news phenomenon in February 2006. With the incentive that Oswald news items will earn this much publicity—courtesy of the uniquely powerful media outreach of Disney—we are witnessing an exciting moment of fresh archival discoveries. This most-recent find was tipped off by an outside inquiry. A researcher was browsing the BFI catalogue for lost Disney titles and saw Sleigh Bells among the listings. Once the implications were apparent, the Institute started a dialogue with the studio. 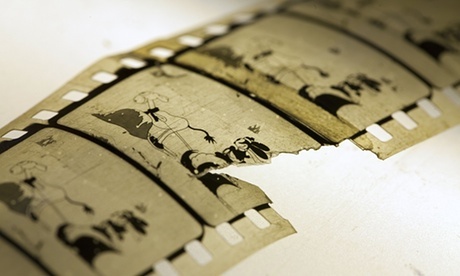 The two then partnered to restore the cartoon, which will now have its premiere at BFI Southbank on December 12. It was rather astute for all involved to hold back this story until the news of its release could be accompanied with tantalizing clips of footage and a firm screening date. The strategy certainly paid off, as the story careened around the internet and across social media. A vanished Disney treasure is finally back for us to see, which explains its mainstream appeal. There is also the matter of the cartoon’s bureaucratic entombment, residing in cold vaults for years. “There must be a hundred things called Sleigh Bells,” a BFI spokesman said. “There are approximately 1 million items in the archive, including 770,000 TV programmes, so it would be impossible for everything to be watched.” However, with greater digital access to lists of inventories and the allure of more treasures to be found, perhaps we might not yet be done with finding Oswald surprises among the world’s film archives. Of course, here at Cartoon Research we contend this type of news surely deserves this big-time attention. But, without the pixie-dust of a Disney connection, these kinds of curiosities often go unrecognized or unreported. As a case in point, let me make light of a similar but opposite situation—a long-lost discovery that turned up ‘inside’ of an Oswald cartoon. Over a year ago, I was watching the Lantz-produced Oswald short Puppet Show (1936) which is noteworthy for its extended live-action sequence of marionettes. I had always imagined this puppetry was filmed by Lantz’s animation director, Manuel Moreno. He was responsible for filming home-movie gags of the Universal animators and he subsequently opened a camera shop that he operated through the 1940s. With his enthusiasm for staging and shooting films, I figured it was likely he inititiated this live-action bit. The premise of Puppet Show is that Oswald is a puppeteer whose control of the strings is undone by the aggression of a pesky bee. Just after getting stung, Oswald falls off his stool and knocks himself out. This gives one of his puppets the opportunity to rig up a balloon to navigate himself to freedom, only to come under the attack of other toys. 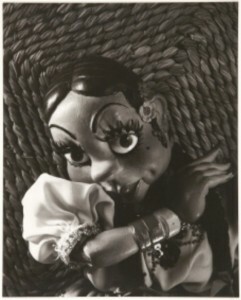 The various live-action marionettes comprise some very unfortunate cultural stereotypes, yet these remain a filmed record of the performances one could expect at a 1936 puppet show. At that time, Moreno had been given a large amount of creative supervision on the Universal cartoon series. The thought of filling half the cartoon with filmed puppetry was probably not only novel but also would have expedited the production time. The on-screen credits for Story are shared by Walter Lantz and Victor McLeod. Manuel Moreno has sole credit as Artist, which is tacit acknowledgement that he directed the picture. There is another intriguing credit: Puppets by Walton and O’Rourke. Since I’m not much of a puppet historian, I had searched online for more information. As stated on Wikipedia and repeated elsewhere, it said “The only known filmed record of their work is the 1953 motion picture Lili, for which they performed using hand puppets instead of the marionettes for which they were most famous,” and suddenly I wondered if this was a rare missing relic. 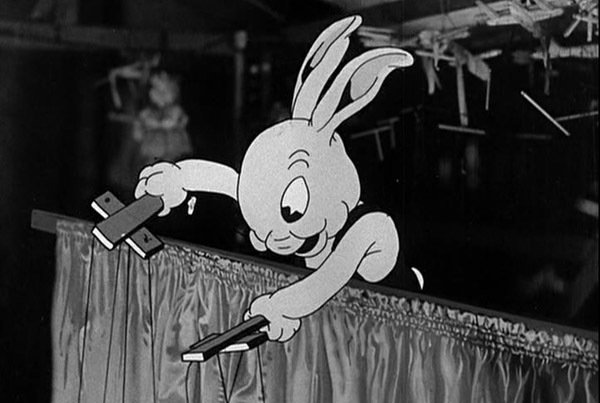 Paul E. Walton and Michael O’Rourke founded the Olvera Street Puppet Theater in Hollywood just a year before their dual-performance in this Oswald cartoon. Puppet Show was included on the second “Woody Woodpecker and Friends” DVD boxset from Universal so it has been widely available, but this historical artifact was effectively buried in plain sight. The early work of Walton and O’Rourke, the once-famous cabaret duo, had survived within this cartoon. Last year Steve Abrams, a Philadelphia-based puppet historian, discovered and shared this information with others. The Wikipedia entry was updated and at least one blog carried the news. It was like a time capsule unlocked after 80 years, but there was no fanfare and CNN did not run a story. There was no press announcement at all. To no one’s surprise, not all discoveries in Oswald’s world are created equal. Though rarely does it make headlines, we see an acceleration of meaningful connections like this, with fans of one sort or another crossing paths with others, while the internet facilitates each small step forward. In fact, while just running a search to find anything else about Puppet Show harboring this rare footage, I noticed what might have actually been the first public scoop on this topic. 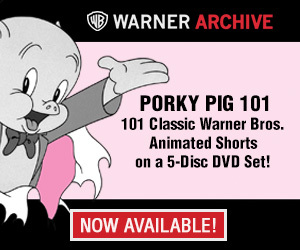 It happened right here on the pages of Cartoon Research. Jerry Beck wrote a July 8, 2013 post on Oswald that included an embed of the film. In the comments he received that day, someone replied using the name WRONGOPEDIA to suggest something was indeed amiss with the official Wiki entry for Walton and O’Rourke. However, the comment was short and maybe too cryptic. Or maybe it wasn’t and the secret was finally out. Sometimes the really revealing nuggets are not up here in the main post. They’re down below written by you. 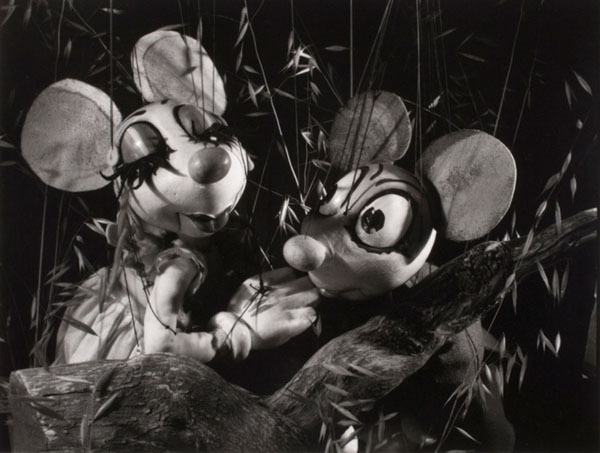 This image of mice puppets is one among numerous photographs of the Walton and O’Rourke marionettes taken by Ruth Bernhard in 1938. Wow! This is great – thanks for sharing it. I especially liked the sequence of the singing puppet – the dancing is amazing too really. I’m looking forward to the newest Oswald discovery becoming available. Even though I cannot actually fully appreciate this, I am hoping that enough “lost” OSWALD cartoons show up so that the Disney company has to re-release the OSWALD THE LUCKY RABBIT volume again with the new finds included and restored as good as can be expected. This is wonderful news. I have to admit, though, that I’d be more psyched were the finds missing credits or bits and pieces of Warner Brothers or MGM cartoons long thought to be lost, but hey, it’s all good cartoon history. Maybe all worthy toon history doesn’t get a CNN blurb, but I’m glad we have this site so that perhaps we can get a look at the lost history of all sorts of animation. It was me who updated that Wikipedia entry for Walton and O’Rourke back in May, after seeing their names in the Oswald credits and doing a search. Thanks for doing that, Peter– and glad I could provide the opportunity for you to get deserving credit here. There are lots of film and television archives holding god knows what around the globe. I hope they open up their lists so we can find these treasures. Such obvious entities as the first couple Super Bowls either don’t exist, or are buried somewhere. And I just watched the cartoon YouTube. Very entertaining and clever. I kept waiting for the UN-PC characters to arrive and there they were. Sigh. Wonderful! I just added a link to your excellent research in the Wikipedia entry for the film LILI (1953), because it previously stated that LILI was the only time the puppet company was captured on film.